Hey ladies! I hope you enjoyed last week's post as I shared a great dupe for MAC Viva Glam Nicki. This week, I decided to share another quick dupe post. 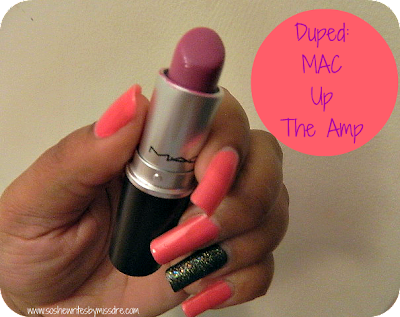 This time, I'm sharing a dupe for one of my all-time favorite lipsticks, MAC Up the Amp. MAC Up the Amp lipstick is described on MAC's website as a lavender violet. It has an amplified creme finish, giving it a rich, creamy application. It retails for $14.50 $15 on the MAC website and at your local MAC counters. Now for a cheaper alternative, I share with you Covergirl Lip Perfection in Divine. Here are the swatches. Can you tell them apart? 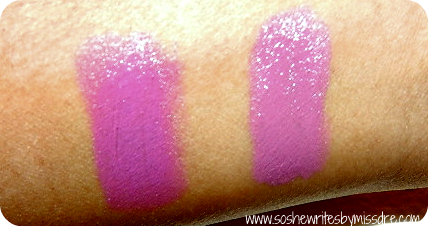 The one on the left is Covergirl Lip Perfection in Divine. The one on the right is MAC Up the Amp. Do you see a big difference? As far as differences go, I can see a slight difference in the shades. 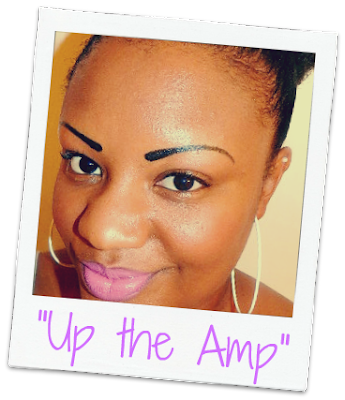 While both of them have creamy consistencies, and are long lasting, Up the Amp appears to be more blue-based. 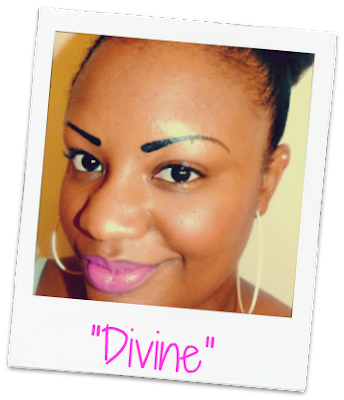 And of course, while Up the Amp rocks a $14.50 $15 price tag, you can purchase Divine from CVS or any other drugstore for around $7.99. 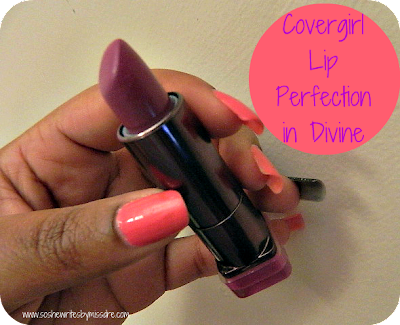 Covergirl Lip Perfection in Divine comes in great, sleek packaging and I have never seen another shade like this one in drugstores. It really stands out on the shelves and in my opinion, is a real steal! Quality lipstick at an unbeatable price? I ain't mad at that! DO YOU HAVE EITHER OF THESE? IF NOT, WILL YOU BE TRYING THEM? Stay tuned for next week's "Duped!" post!